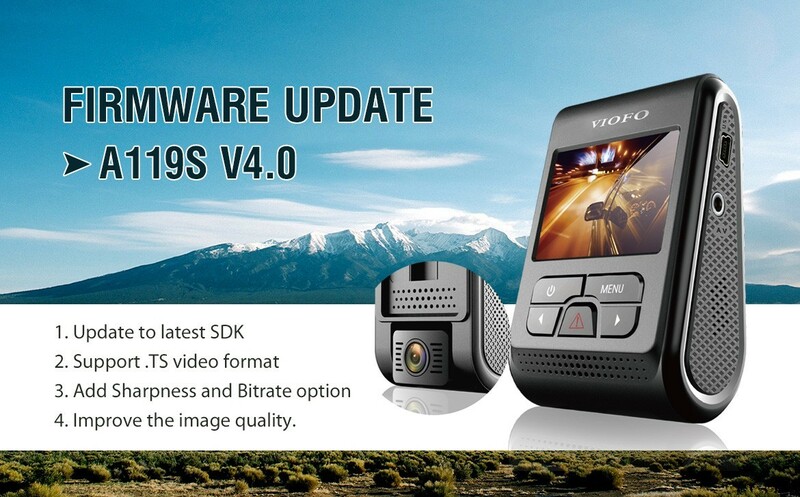 VIOFO A119S V4.0 firmware released. Below is detail change log. 4. Improved: Improve the image quality. Please check this link to download the latest firmware.